As we recently reported, the Taste Track kiosk (located next to the popular Test Track at Epcot) closed to the public a few weeks back. The location will officially reopen on Sunday, July 3 featuring a brand-new, much sweeter menu. 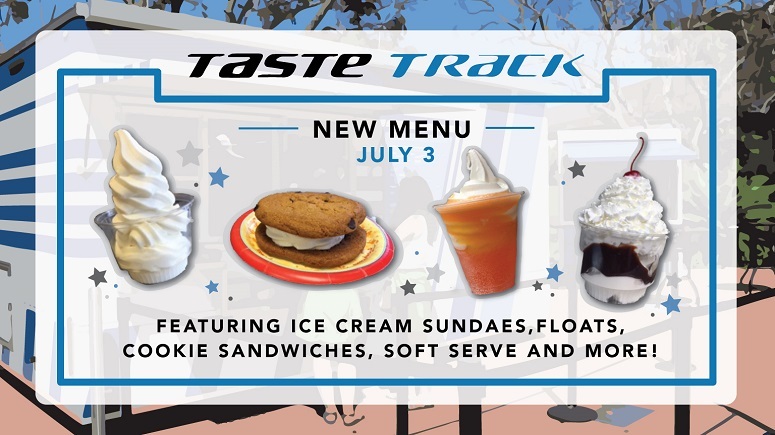 Open daily from 12:30 to 5:30 p.m., Taste Track aims to help Guests cool down with sweet treats after taking their Test Track vehicle out for a spin. In addition to soft drinks and hard sodas, this kiosk will offer a variety of ice cream creations. No more grilled cheeses? Same crap different location. American palettes are the worst.